Certified Nursing Assistants (CNAs) and Registered Nurses (RNs) work in the same industry. Both professionals have a unique set of duties and responsibilities. Students must know the difference between both the careers, so that, they can utilize this information to plan their future profession. CNA- To work as a certified nurse aide, you don’t require any sort of degree. Aspirants just need a diploma in high school or GED. In some states of USA, you need to acquire a high school diploma. RN- Candidates can’t work as a Registered Nurse, until and unless they do not obtain a diploma in high school, along with Bachelor of Science in Nursing (BSN) or Associate Degree in Nursing (ADN). CNA- Students are required to attend a nurse aide training program of mandated hours and acquire the certificate by qualifying the certification examination. RN- You can get an RN license, after passing (NCLEX-RN) National Council Licensure Examination for Registered Nurses. This test is regulated by the National Council of State Boards of Nursing. CNA- Certified nursing assistant is an entry level job. These professionals carry out their work under the direction of LPNs and RNs. They hold a very low position in hierarchy. RN- Registered nurses are ranked very high in the medical industry hierarchy. They are in-charge of CNAs and LPNs. CNA- Nurse aide works under the direction of RNs. They cannot perform the responsibilities of a registered nurse. They don’t have the authority to take decisions at their own. 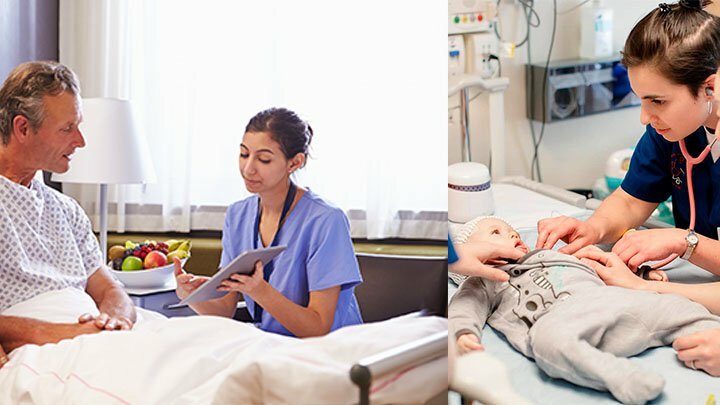 RN- Registered nurses work more closely and directly with the patients. RNs can accomplish the duties and tasks of a nursing assistant. These professionals do the supervision of LPNs and CNAs. CNA- Certified nursing assistants may work in clinics, nursing homes, rehabilitation centers, assisted living centers, day care centers, hospitals, etc. RN- Registered nurses mostly find employment in hospitals or doctor’s offices. CNA- Nursing assistants provide basic care to the patients. They measure temperature, blood pressure and pulse rate; provide personal care to the patients; assist patients in their daily activities; transfer patients from one place to another, etc. RN- They assign tasks to CNAs and LPNs, provide assistance with medical processes, dress wounds, administer medication and injection, etc. CNA- Nurse aides, after getting additional education, can take their career one step up. They can become licensed practical nurses or registered nurses. There are no much advancement opportunities for these professionals. RN- After getting further training, RNs can become nurse practitioners. They can also carry out the work as nursing unit managers. CNA- According to PayScale, certified nursing assistants can make a mean hourly income of $9.31 to $12.21. The median annual salary ranges from $17,691 to $31,207. RN- A registered nurse aide can earn a mean hourly wages of $22.11 to $30.80. The median yearly salary varies from $41,190 to $79,789.